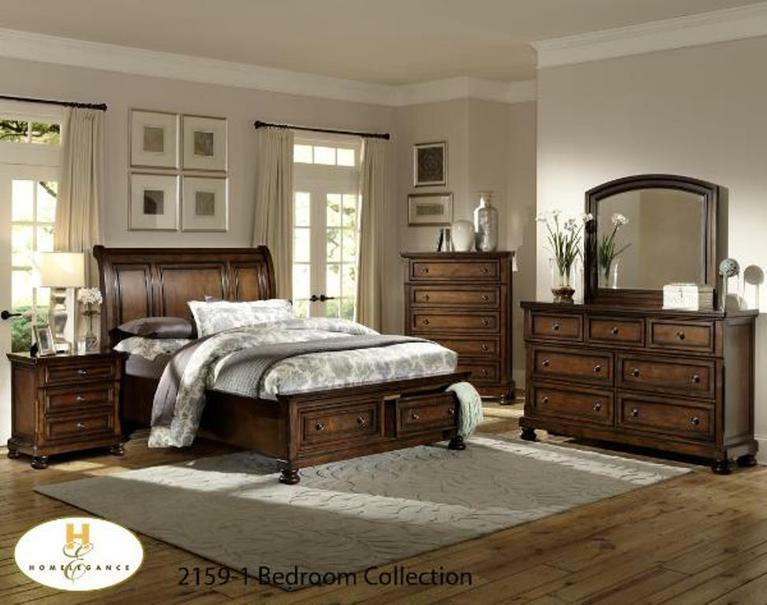 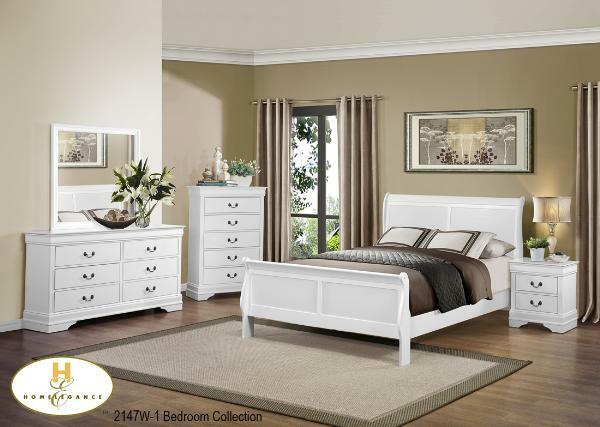 Mission Bed, 36" headboard, 29" footboard. 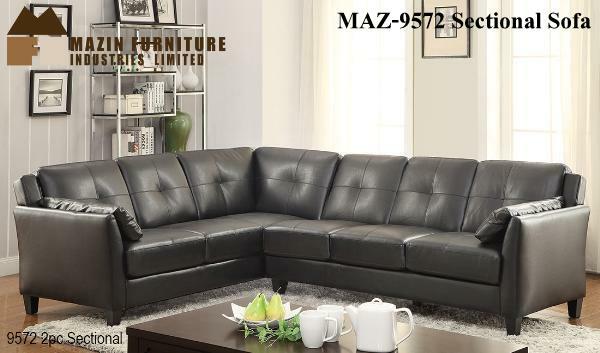 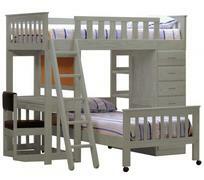 Twin, full or queen size. 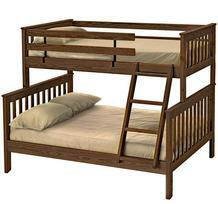 6 wood finishes. 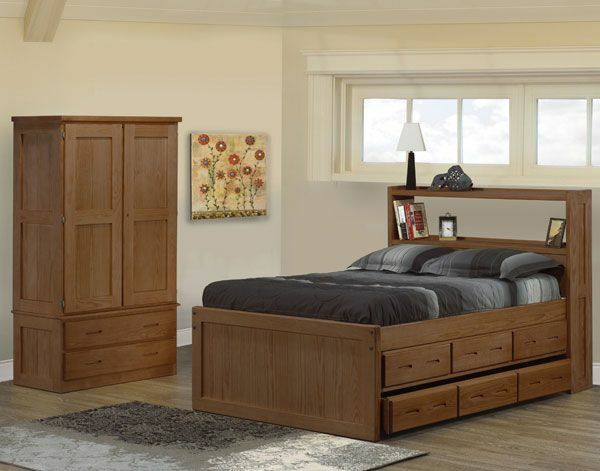 Book Case Twin Bed Solid Wood, Drawers optional, Available in twin, full, queen and king sizes. 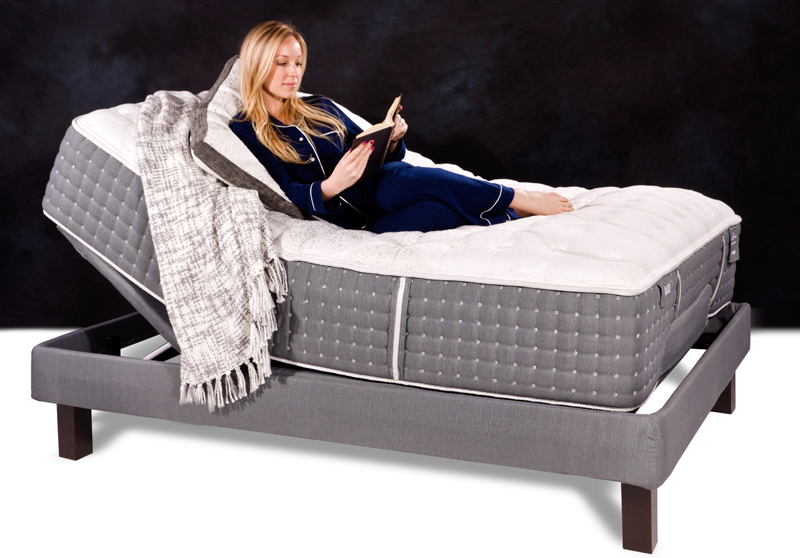 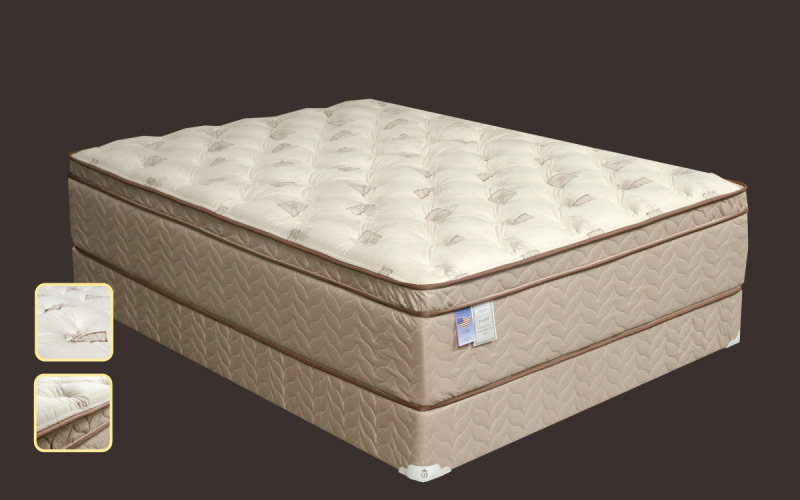 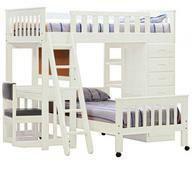 The Clementine Collection features an optional full-size extension kit for the lower bunk. 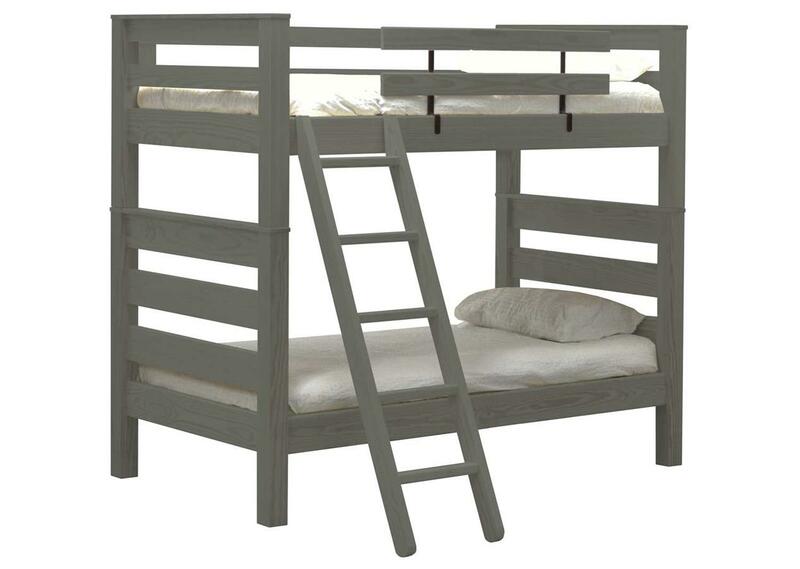 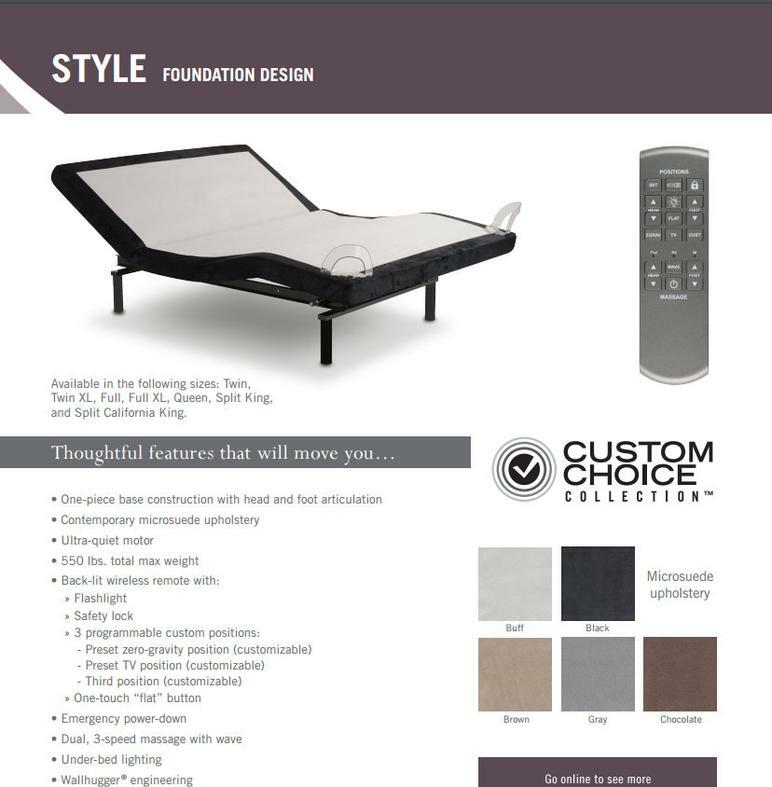 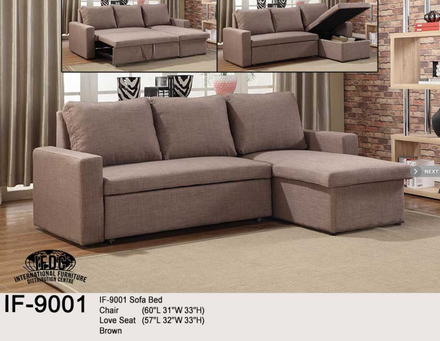 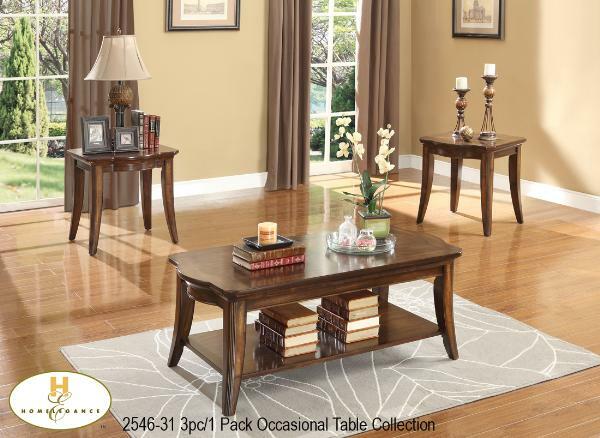 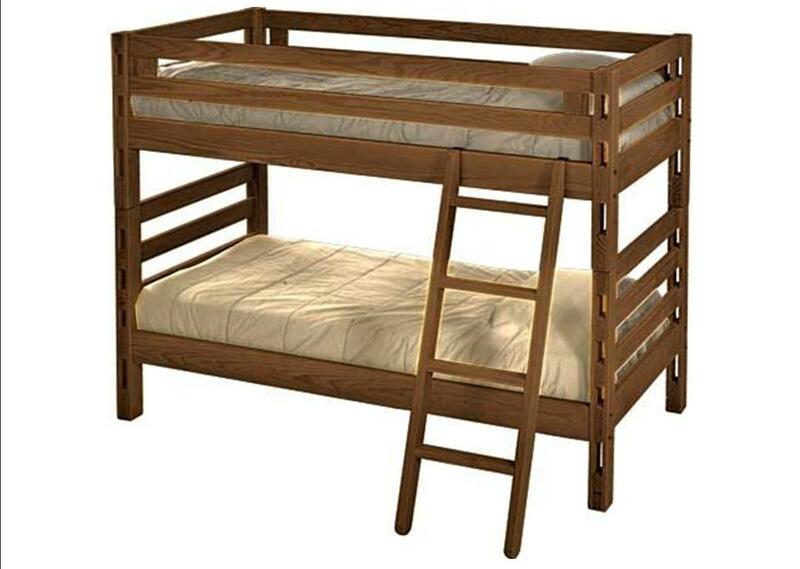 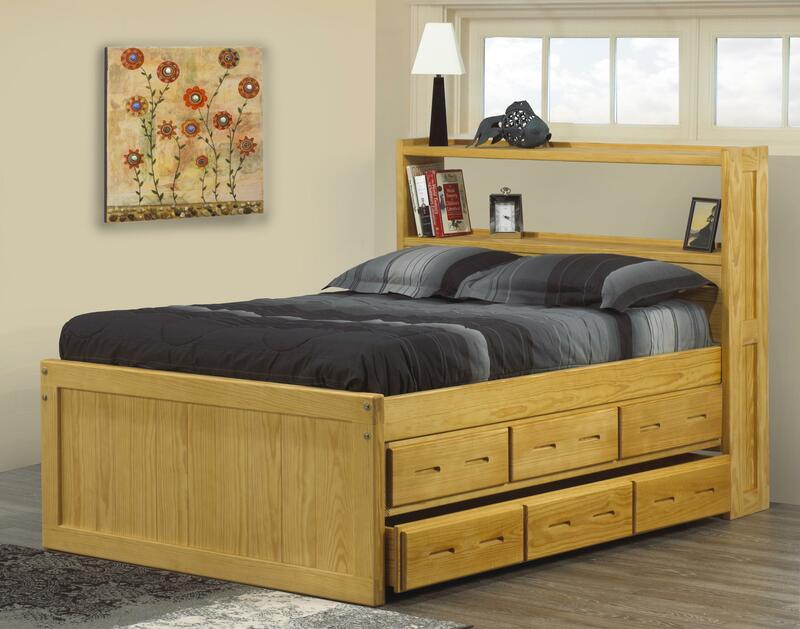 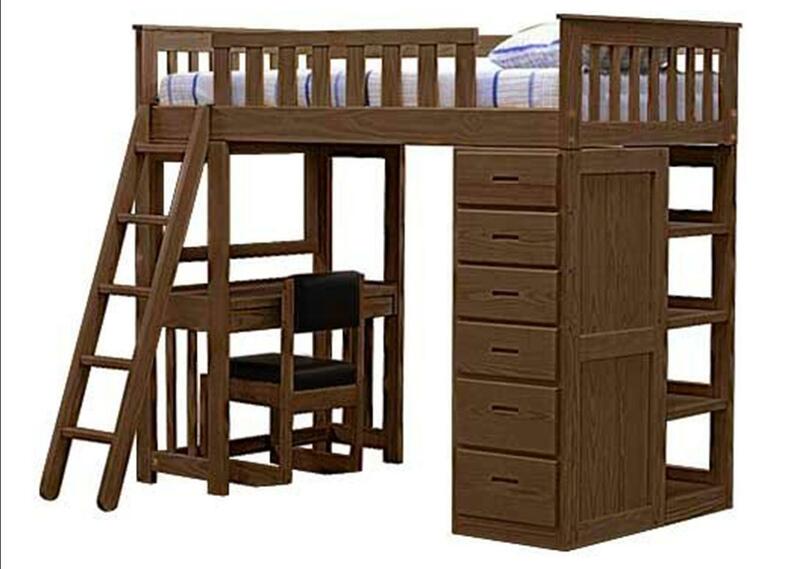 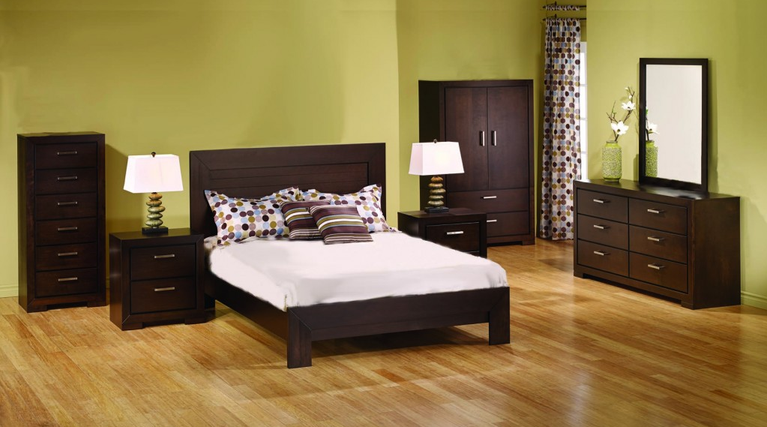 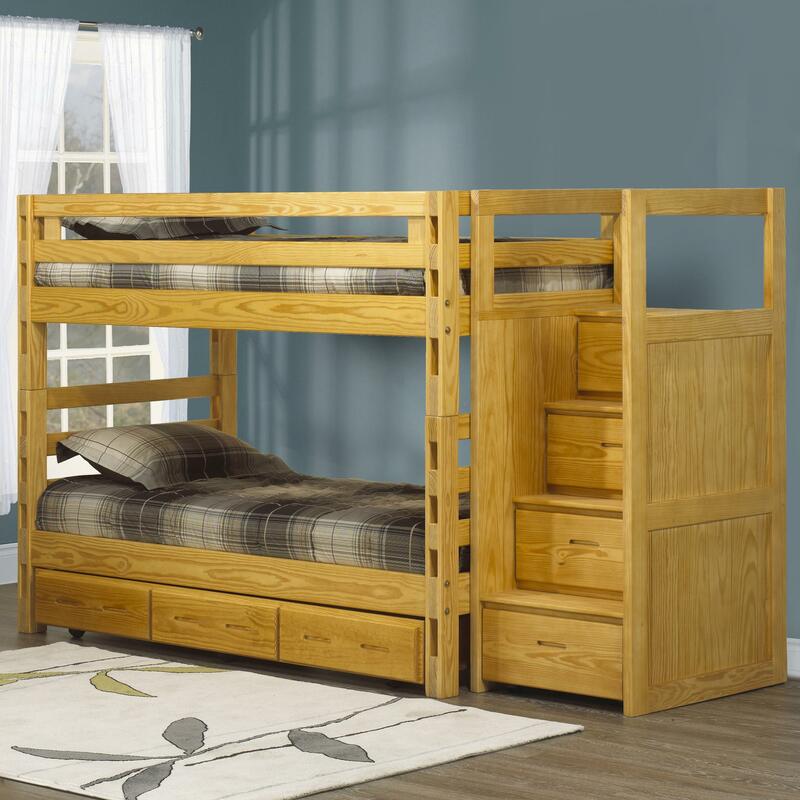 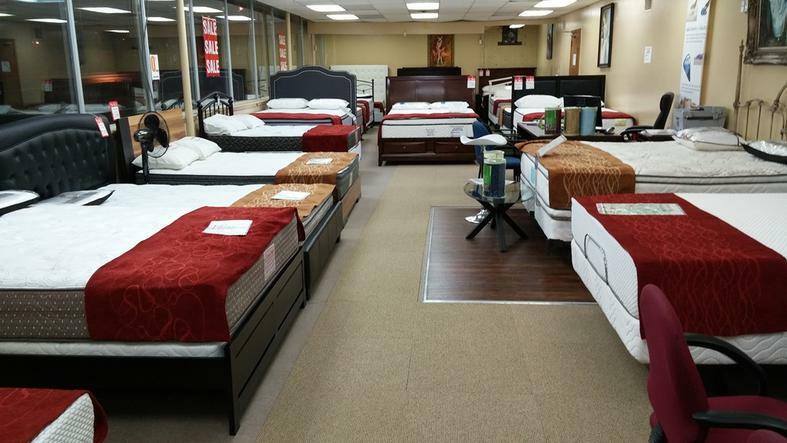 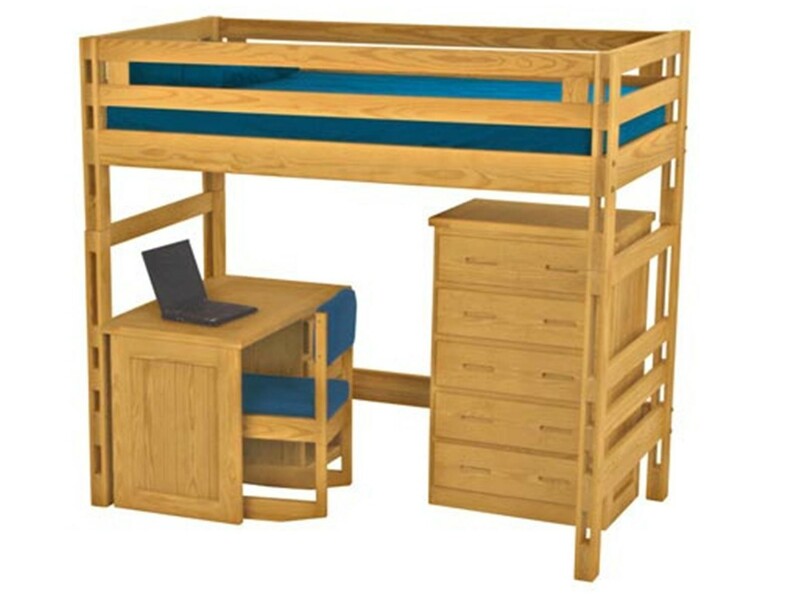 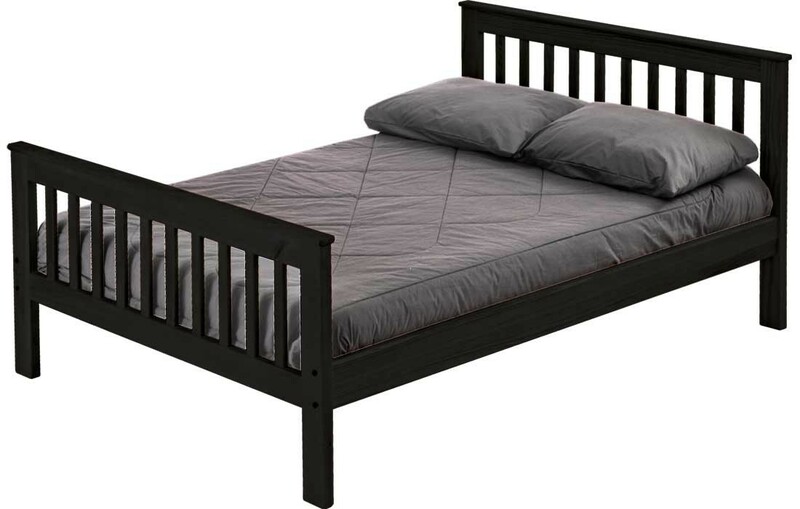 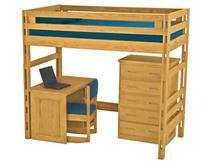 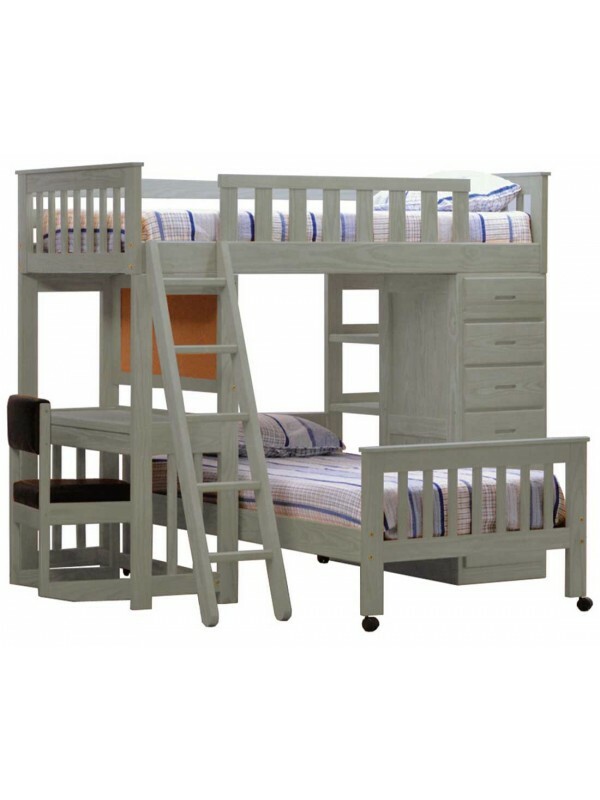 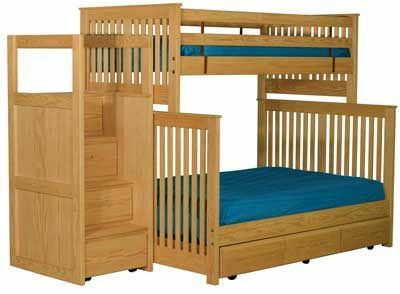 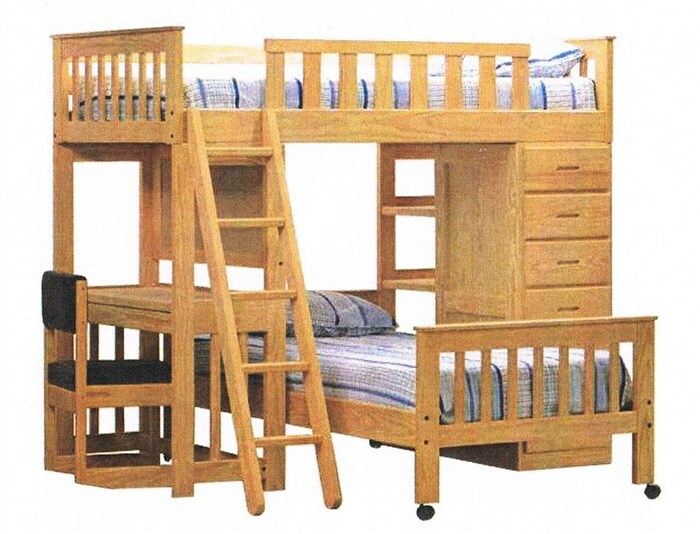 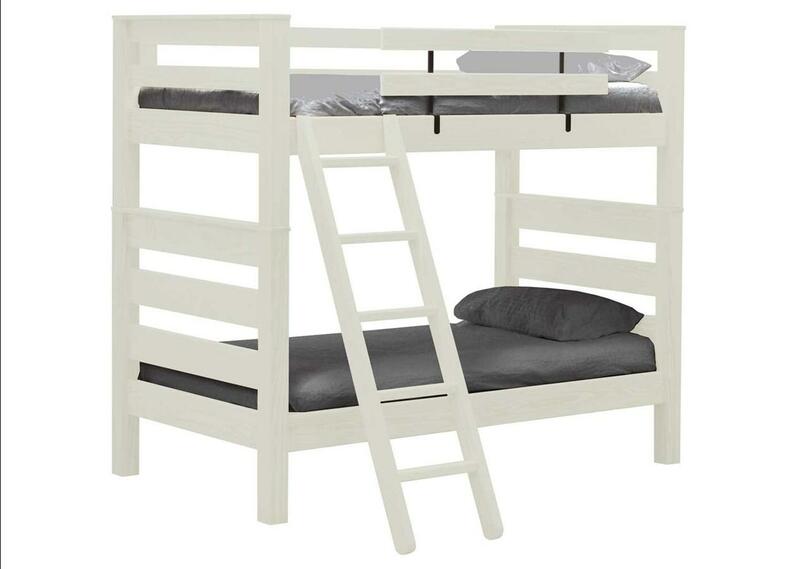 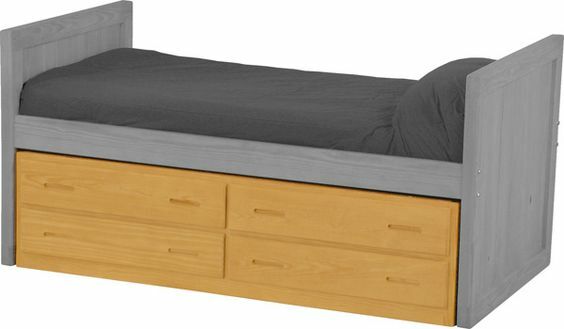 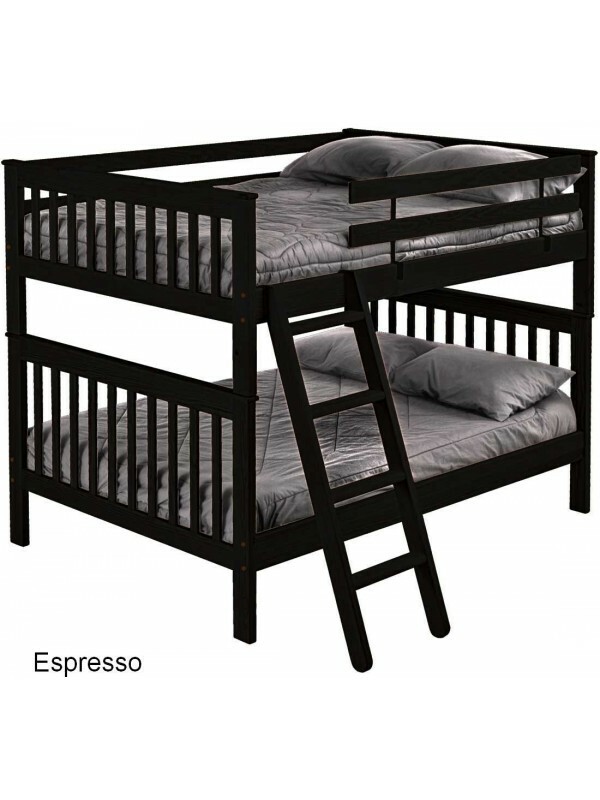 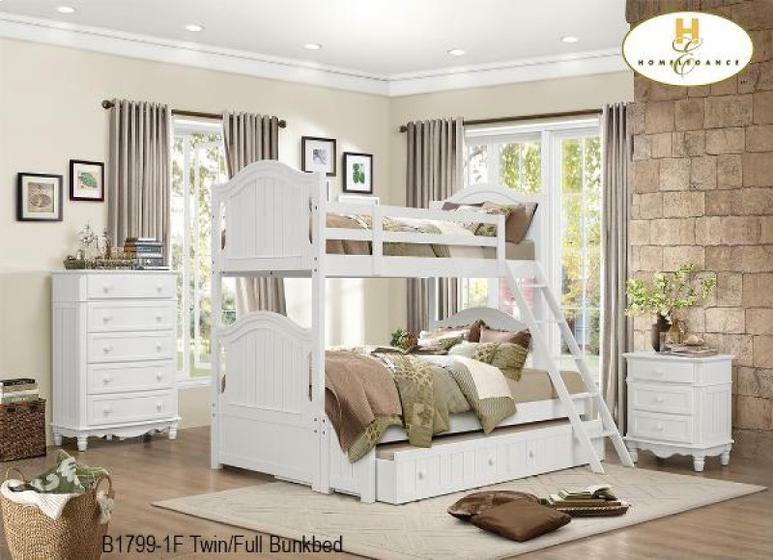 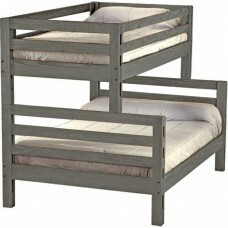 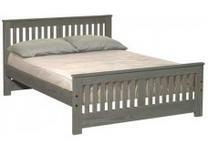 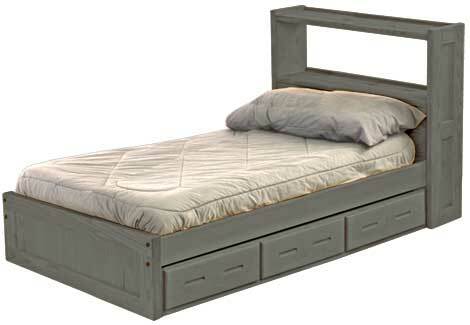 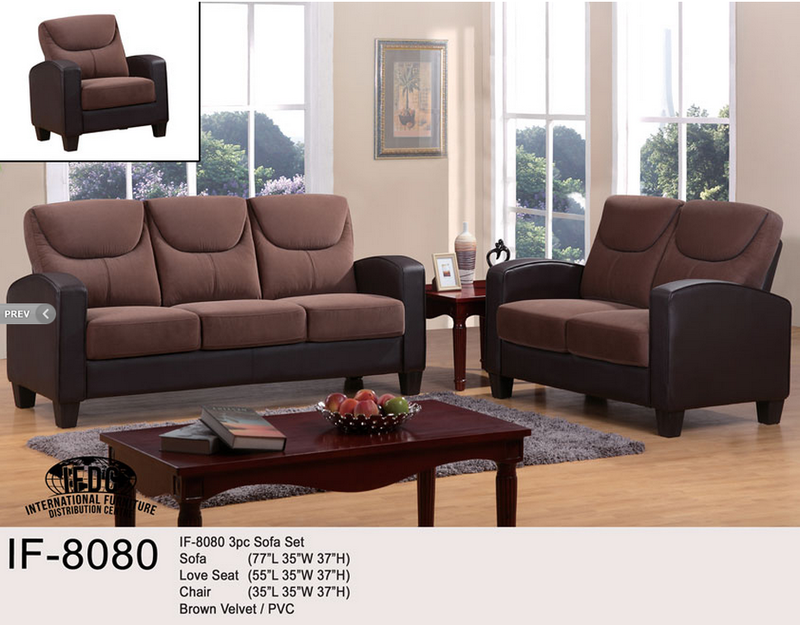 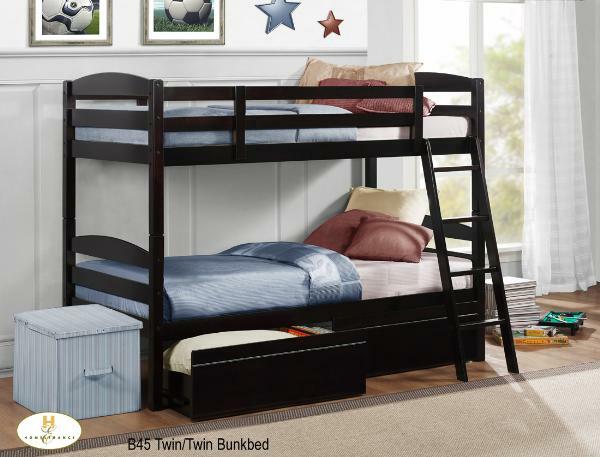 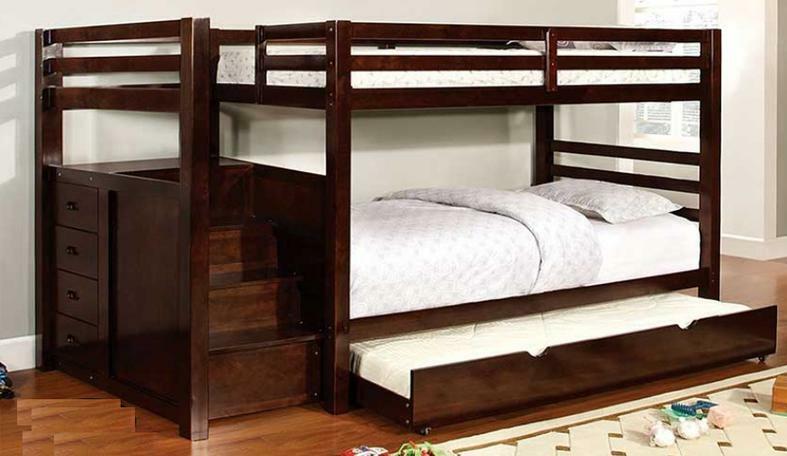 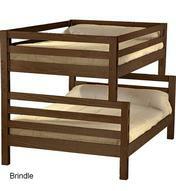 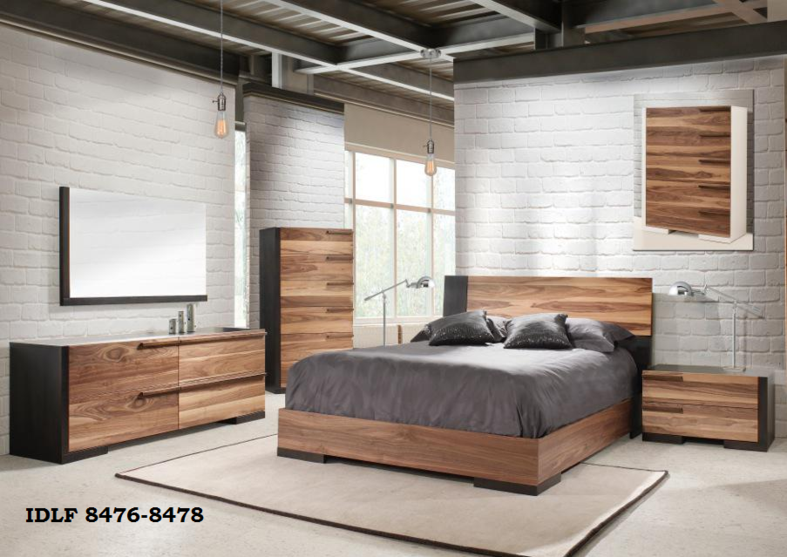 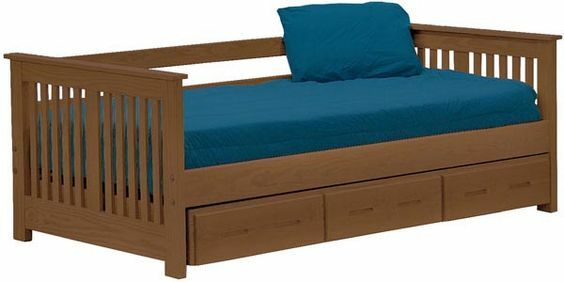 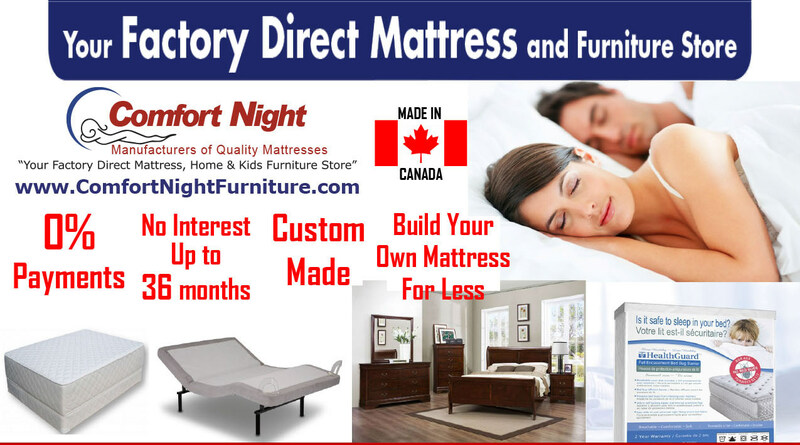 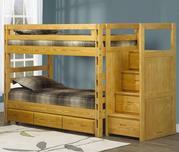 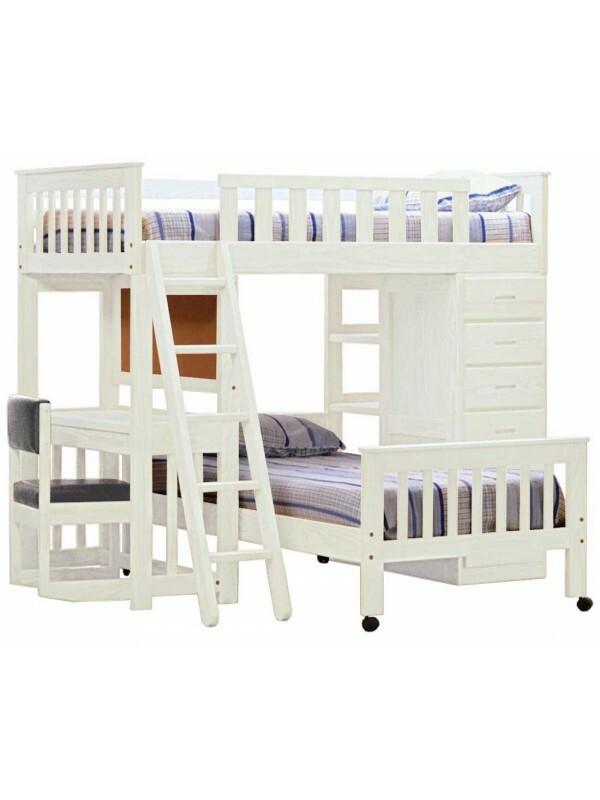 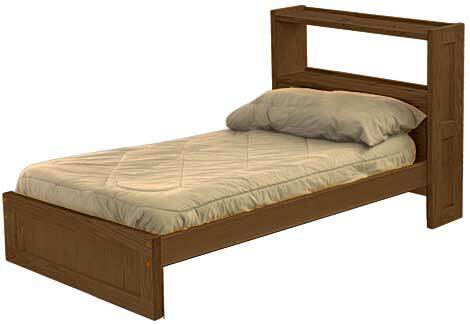 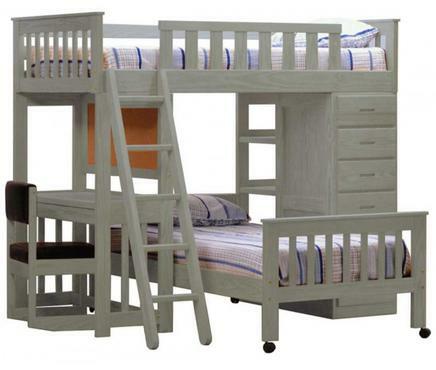 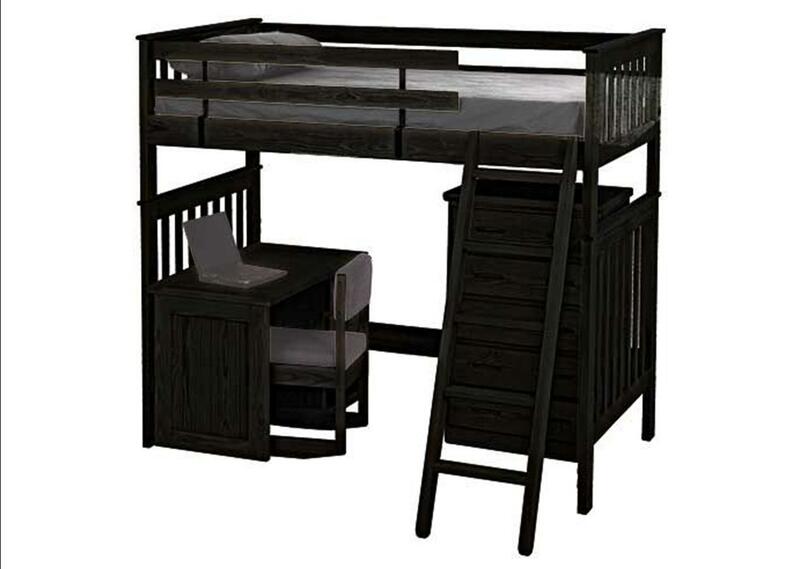 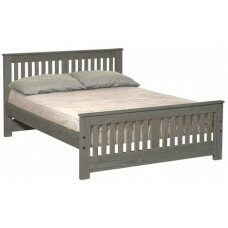 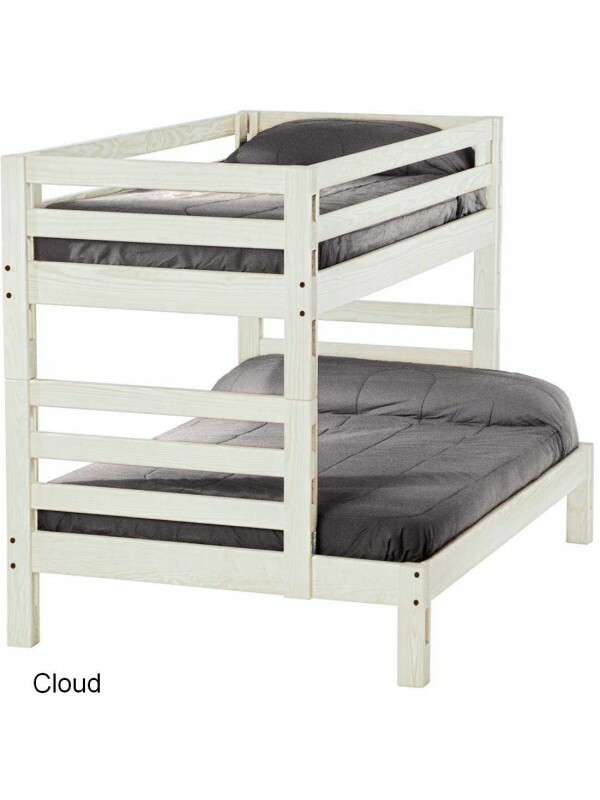 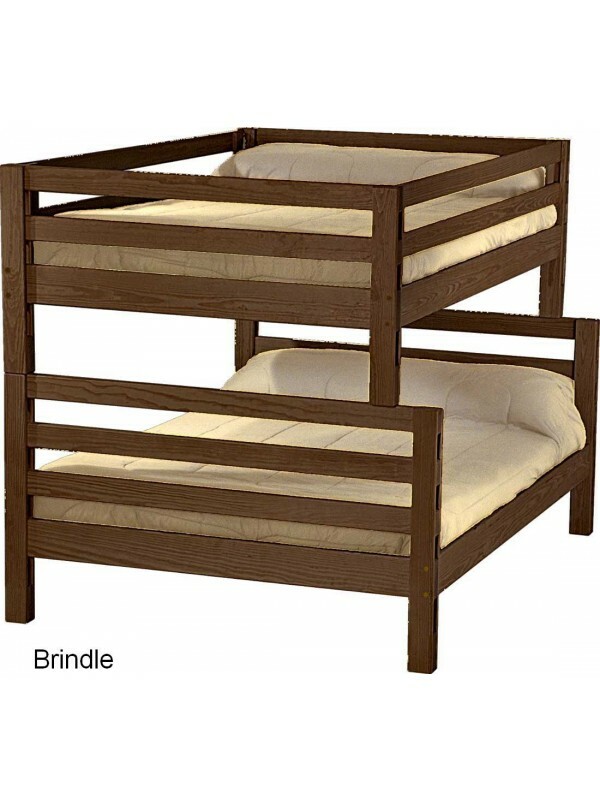 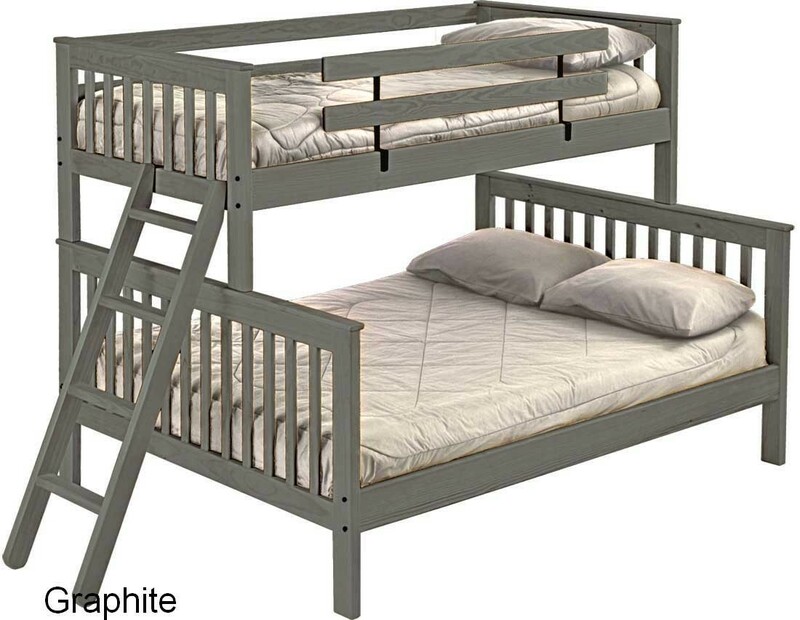 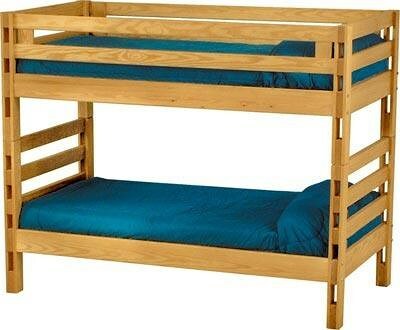 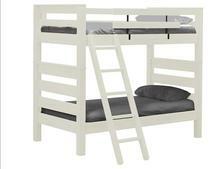 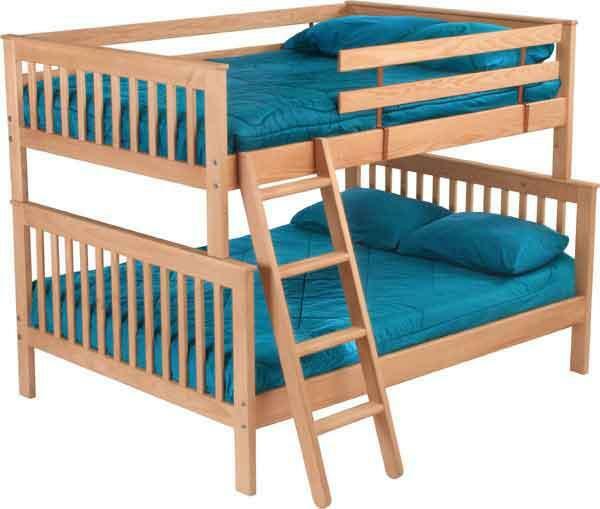 Also offered is a functional trundle allowing for the option of either storage or twin bed. 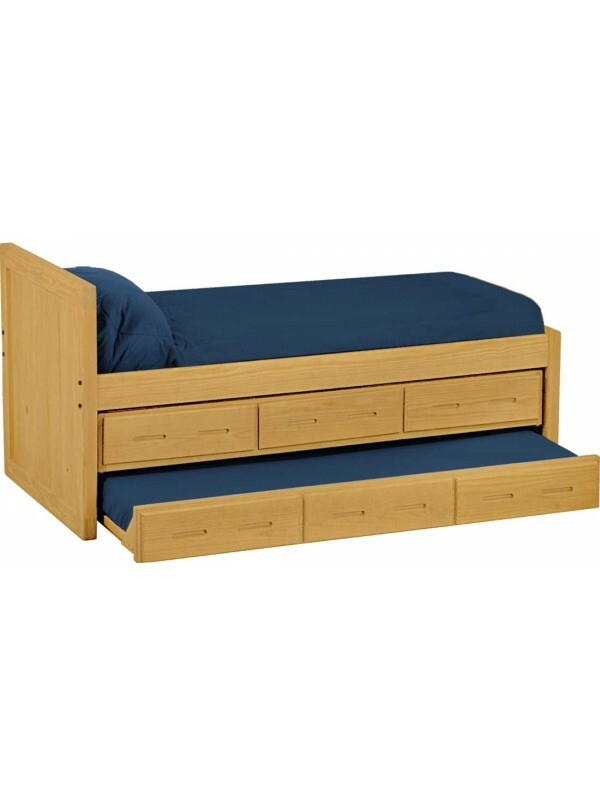 Captain's Bed & Trundle Set. 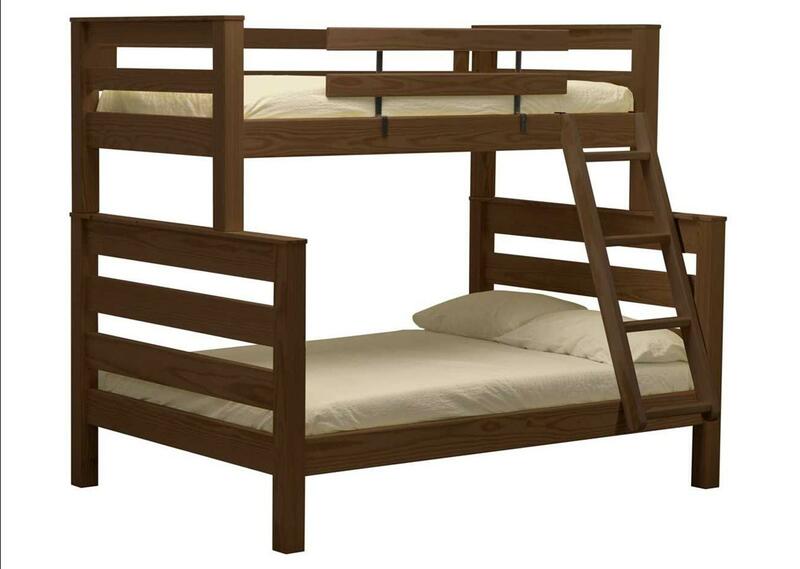 Twin, full, queen or king size. 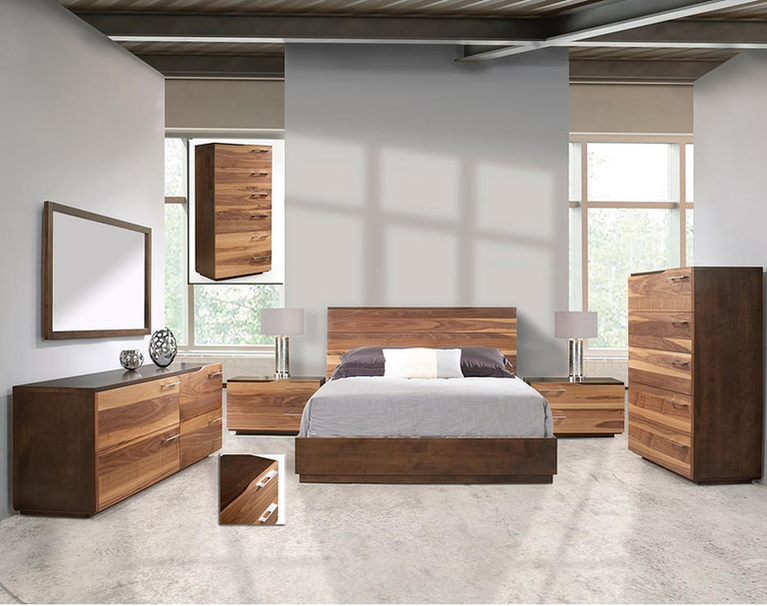 6 wood finishes.